On Sunday, Mr. Williams said, “Let’s not eat anything with a face this week.” I said ok. And then I made spaghetti with meat sauce. 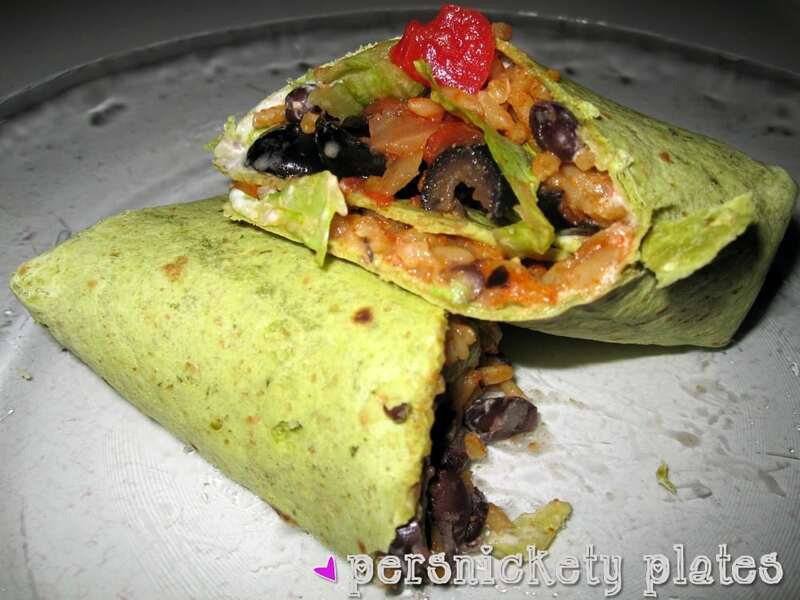 When I saw Six Sisters’ make this vegetarian Spicy Rice & Bean Wrap, I knew it was a chance to redeem myself. I switched it up a little and didn’t make ours spicy and used Uncle Ben’s Spanish Style Ready Rice. This is the second time I’ve made it and while it tastes good, Mr. Williams said it smells like “a musty cab driver” and “a homeless person”. He has a way with words. I got home late and threw these together quickly. My tortilla fell apart but it still tasted good. I scooped up the insides with some tortilla chips. Wrap success with no natural light. Microwave rice then mix in a bowl with the beans and cumin. 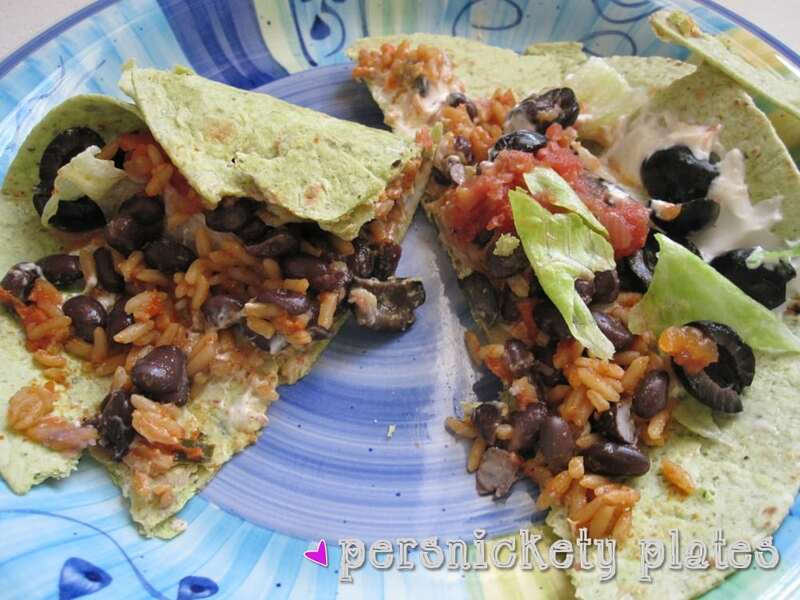 Spread sour cream on the tortilla and fill with the rice & bean mixture and whichever toppings you pick.